Jamie Jeffery takes a look at a new technology promising to dramatically increase your reading speed. Have you ever wanted to read a novel in 90 minutes? What about read your homework or readings at 500 words per minute? 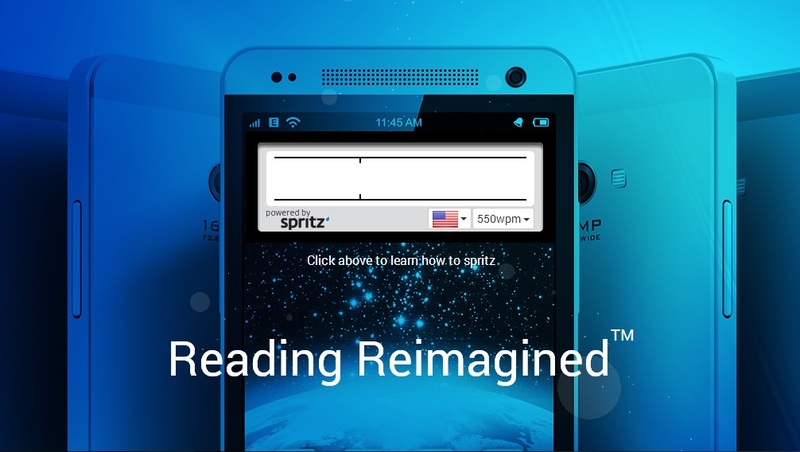 Well, a new technology from Spritz, a Boston based technology company, has revolutionised the basic art of reading, bringing it to a whole new level. The self-titled noun known as ‘spritzing’ has taken off around the world after being released just before the start of March, with some people reaching speeds of up to 1000 words per minute. How is this possible? The research that has emerged from Spritz tells us that with every word that we read, there is a main focal point which is placed just to the right of centre of every word. They have named this the Optimal Recognition Point (ORP). Spritz have positioned this point so that it is in the same spot where you are already looking. This enables the mind to process words significantly faster compared to moving your eyes from word to word. The process of speed reading is a lot like a flip book. Words are flashed before your eyes at fast speeds, and because the ORP is where you are looking, your brain can process what that word was at an almost instant speed compared to normal reading. CEO and Co-Founder of Spritz, Frank Waldmen told Co.Design that this technology is particularly handy for “digesting emails, social media feeds, and news especially”. Despite it’s incredible potential, some problems have arisen from this newfound technology. Carey Dunn’s review for Co.Design notes that with traditional reading you can “re-read a confusing passage or slow down to savour a particularly beautiful sentence”, but with Spritz, you’re stuck in a never stopping speed river of words being chucked at you. Although it seems that the positives outweigh the negatives. University students and all students alike, once familiar with this technology, can turn a cramming session of three hours to a mere 40 minutes. Unfortunately, you won’t be spritzing through your weekly readings this week as the technology is still currently under development. When released in the future, there’s the potential for this technology to take over reading as we know it. Try out Spritz for yourself here, and see how fast you can read.